Today MBW broke the news that Liberty Media is potentially interested in buying a stake in Universal Music Group (UMG). Earlier in the year Vivendi announced its intention to sell up to 50% of Universal Music Group within 18 months. And to add to what might just be the biggest music business news story of the year, Vivendi has officially launched its bank selection process to find a buyer for the stake in its music arm. 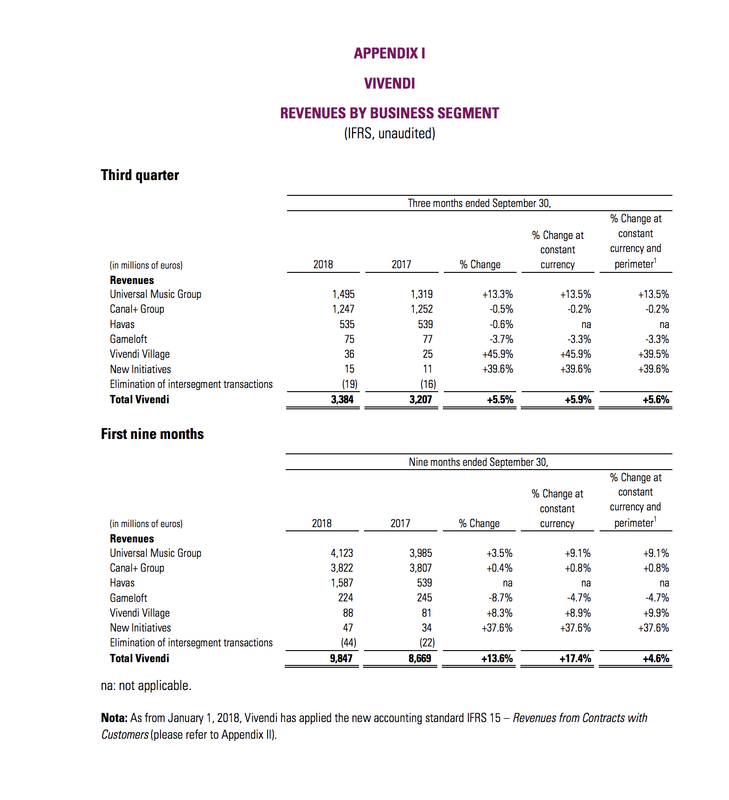 Vivendi released its Q3 2018 results today (November 15) and it revealed that it has officially launched the bank selection process. According to Vivendi, ‘the management board has selected 15 banks that could help identify potential strategic partners for UMG’. It adds that ‘the end goal is to select five to seven banks and set the terms of engagement and fees before the end of fall’. Back in July when Vivendi recommended a ‘sale of up to 50% of UMG’s share capital to one or more strategic partners, in order to extract the highest value’, it said that a transaction ‘will likely be launched this fall and could be completed within the next 18 months’. 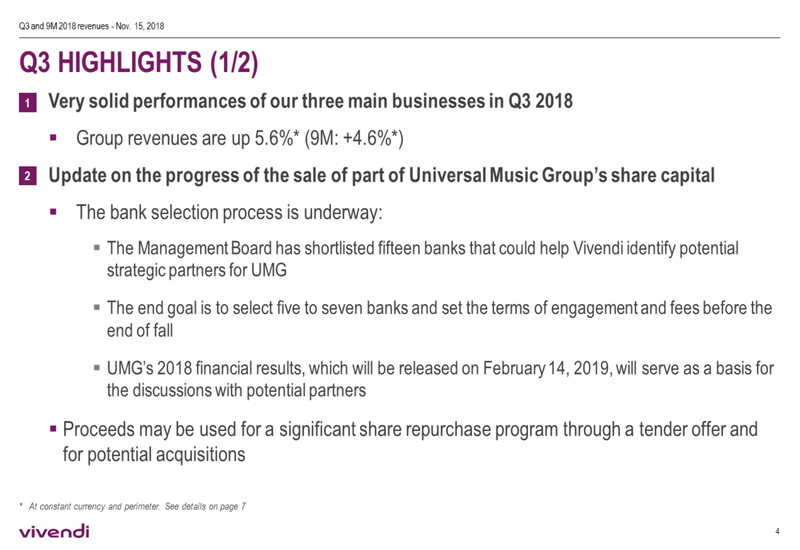 Today the intention to stick to that deadline was expressed when, during today’s Q3 earnings call, Vivendi’s management board was asked a number of questions regarding the UMG sale. One of them was about the timescale of the process. Vivendi CEO Arnaud de Puyfontaine replied: “We said at the end of July that we were to launch the process in Autumn, which we are currently doing and that we were expecting that the process would be leading to a 12-18 month deadline.